To Partisan America: YOU LIE! You are not about doing what is best for this country, you are knee-deep in your politics, agendas and spins! I’m back in Atlanta after a busy week at the National Association of Black Journalists’ convention in New Orleans, immersed in my routine and turning my radio dial to WAOK 1380-AM, our city’s premier black talk radio station. “…. well, some of them are illegal” and “…the police have to stop them because some of them don’t have papers” and so on. Take away “illegal” and “papers” and you could be listening to a white American in the 1950s justifying Jim Crow laws against Negroes (no, wait, we’re black… no, no, African-American now). How quickly we forget. And I’m not just I’m not just talking to Black America. Sure, we’re the latest example, but this oppression amnesia, this myopic indifferent to discrimination is something humans have struggled to overcome since the beginning of time. Remember 8th grade English and George Orwell’s “Animal Farm,” a fairytale of sorts where the pigs overthrow the human farmer and establish a fair society but soon begin walking upright and discrimination against non-pigs? The lesson in that classic book was clear: more often than not, the oppressed becomes the oppressor. In the case of African-American and the treatment of Latinos in Arizona and other parts of the country, too many of us are acting like the pigs. Too many of us are eager to do what was done to us. Listen to the rhetoric on the radio or even to your own black friend or neighbor who espouses the anti-immigrant view. They are justifying targeting and deporting a specific group—brown people primarily from Mexico and three or four other poor countries in Latin America—while ignoring the fact that this country quietly absorbs undocumented immigrants from Europe and many parts of Asia every single day. They are doing what was done to us and we should be ashamed for it. Do I think every person from Latin America is an advocate for Black Americans? No. As a student of other languages I have experienced blatant racism from light-skinned Mexicans (rubios) while studying Spanish and living in Mexico. I once was barred from a rubio and white American nightclub because of the color of my skin. But, I also have made friends with mestizos (the racially-mixed majority in Mexico) and indios (indigenous people) as well as progressive rubios. And I seek coalitions with Latinos seeking coalitions with me and my people, and expect other African-Americans to do the same. I’ve heard people talk about how “the system” is playing minorities in this country and I have to agree. Like it or not, we are not the majority in this country. African-Americans make up a mere 12.3 percent of the U.S. population, according to 2010 Census figures. Latinos are only 15 percent (that includes black Latinos) and other major ethnic groups comprise about 10 percent of the country. So, if we want to address our concerns as oppressed people we need to align with others with similar experiences and form coalitions and speak on influential platforms. Together. Talk all you want to about them and the problems you think they are bring to this country but if we don’t make and keep alliances—with them— we’re going to be left out in the cold. — Janita Poe is an Atlanta-based commentator and former staff writer for the Chicago Tribune and The Atlanta Journal-Constitution. 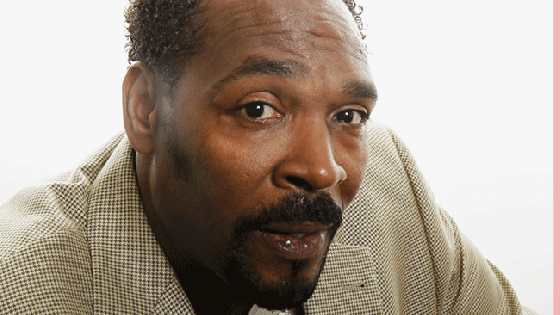 Something’s not right with Rodney King’s odd fame and short, directionless life. Something’s not right when, according to The Center forConstitutional Rights’ website, some 84 percent of the people stopped in New York City’s controversial “stop-and-frisk” policy are Latino and African-American. S omething’s not right when the majority of deaths reported in Chicago’s recent homicide spike involved black men on the sprawling city’s South and West sides, according to WBEZ Radio in Chicago and my own work as aWest Side beat reporter during the 1990s for The Chicago Tribune. Something is not right with the hypnotic draw of the gangs, the Baby Daddy-Baby Mama drama, the homelessness, the joblessness, the lack of drive and motivation for some, the dreams deferred for others. Something is just not right with the status quo for men of black African descent in these United States of America. I’m not looking to blame anyone. I’m tired of all the blaming, from conservatives and liberals. From angry black nationalists and from blacks who hate being black. I’m calling for open dialogue about solutions, followed by informed action. I’m calling for a commitment to real change. It will not happen, however, if we can’t address each other with respect, if we can’t form coalitions across racial lines. Honestly, folks. Who cares that some people are, possibly, “racist?” Who cares that some want radical, in-your-face change? Isn’t it enough that enough of us—from all walks of life—really want to make things better for black men in this country? We can improve conditions and, as the leader of the free world, we should. Past societies have improved, whether by reform or revolution. We’ve done it right here in the United States, with women’s suffrage, gay equality and the transition of descendants of illiterate slaves to millionaires, diplomats, and a First Lady. It’s clear that something is not right. The only question remaining is this: are we brave enough to come together, get beyond the rhetoric and reform our families, communities and systems? Because letting this continue is just senseless. On the air at 1570 AM The Light. Seated: program director Kevin Collins and operations manager Larry Young. Standing: general manager Paul Ploener. [Photo by Jim Massara of The Clayton Daily News]. 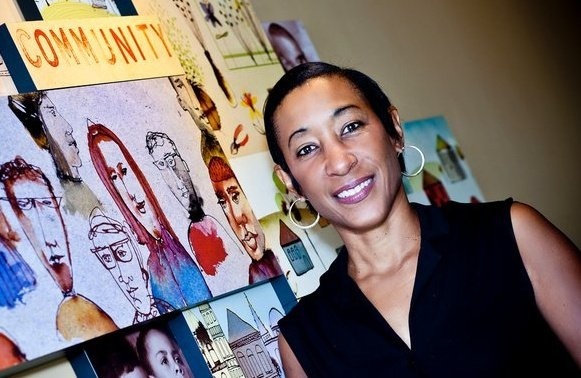 Ellenwood, GA – June 7, 2012 – Award-winning business and urban affairs journalist Janita Poe has joined the WIGO Radio 1570-AM “The Light” team, Brian Poe, Esq., of Poe Simpson Law, and Larry Young, Assistant General Manager/Sales for WIGO announced today. Janita will host the one-hour “Janita Poe Show” every Saturday, from 3 to 4 p.m.
Janita will work at WIGO as a programmer, special events marketer and salesperson for “The Poe Show” as well as the daily 6-7 a.m. “The Rick Joyner Experience,” the daily 7-8 a.m. “Gospel Hour/Bernice King Show” and all other gospel and talk shows on the station. The Janita Poe Show has already built a reputation for candid commentary about the many issues facing African Americans today. The show promotes independent, critical thinking and seeks to have the necessary candid conversations about society’s real problems. Janita features special guests and welcome callers with a range of different points of view and, of course, Janita has no problem sharing her opinion about the subject matter. Unlike other black-oriented talk shows, The Poe avoids the ‘woe is me’ rhetoric and is never boring or depressing. About WIGO: WIGO has strong roots in the Atlanta metro area. The station was at the 1340-AM frequency during the 1970s and early 1980s and featured popular personalities such as Hal Lamar, who eventually moved to WAOK 1380-AM. More recently, the station has served a Spanish-speaking audience and used the name WSSA. 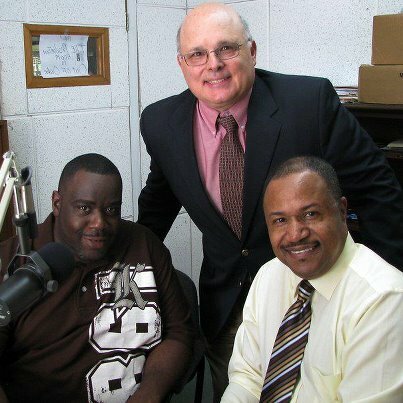 The station is currently an affiliate of The Sheridan Broadcasting Corporation and includes gospel music, business, sports and talk radio formats. For sales information, please see our rates page on http://www.thejanitapoeshow.com, email sales@thejanitapoeshow.com or call Janita directly at 404-444-2955. Ads for the July 14th show may be purchased on the show’s Eventbrite page. Ads for the “The Janita Poe Show” featuring Atlanta’s Health and Wealth Builders — 3-4 p.m. every Saturday on WIGO 1570-AM “The Light” — are now for sale (first show is July 14th). You can’t beat our spot ad and liner rates! Though not a part of the ad rate, like Avis, I “try harder,” and provide plenty of free additional exposure to my sponsors by promoting their name, events, books, etc., on my social media platforms before and after my shows. In addition, unless we have Internet connectivity problems, I archive all of my shows on BlogTalkRadio.com, so most advertisers enjoy exposure on that platform as well. Graves say that African Americans are “driving in reverse” in their quest for the proverbial American Dream. In 1984, white Americans had a net worth 12 times that of our community; Today, he says, that ratio is 20 to 1. What does that mean in dollars? Graves breaks it down. In “Black Wealth (the Lack Thereof) in America” –featuring special guest, BlackEnterprise.com Executive Editor Elayne Flucker–on the May 4, 2012, episode of The Janita Poe Show we will look at Graves’ statistics and others and converse about the many reasons so many black Americans still are not saving more than they spend and building generational wealth in 2012. 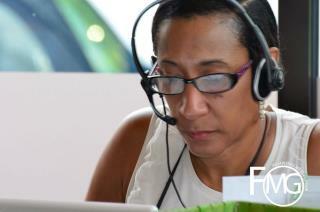 The Poe Show is a new, syndicated talk show currently broadcasted to Atlanta and Houston markets. You can reach sales manager Christopher Harper at sales@thejanitapoeshow.com for show advertising and Janita directly for live-broadcast agreements and event sponsorship information at 404-444-2955. 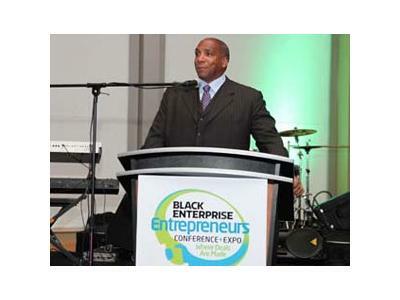 [Images by Black Enterprise and freefoto.com].